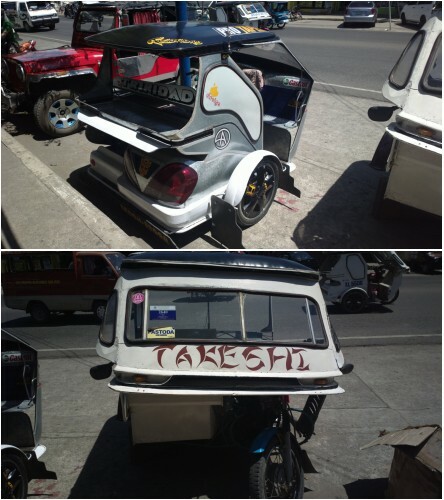 See how tricycles look like! Speaking of a vehicle, there were no taxis in Puerto Princesa City. According to locals, there were only 4 or 5 cars allowed with a taxi franchise. I didn't see any one of them though (if there are any). I didn't see buses either except for some which were headed to El Nido with tourists on board. Above all, there was very minimal if not literally non-existent traffic in the city! 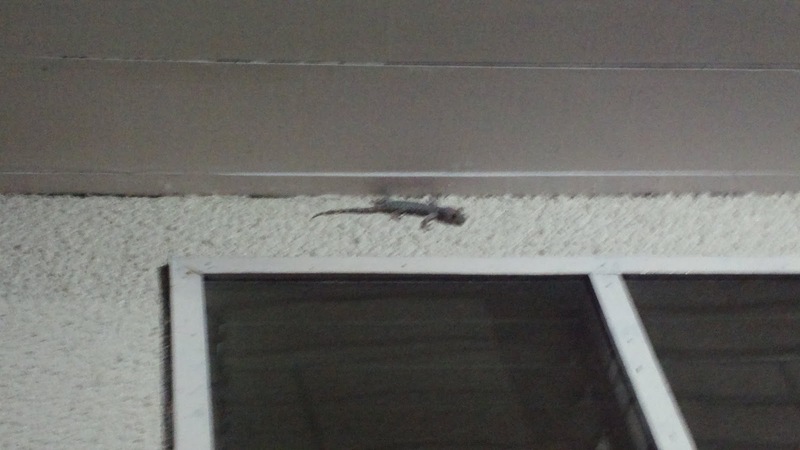 How about this lizard below? It looks bigger in real life. Creepy. Coconuts along the road. But more so, cashew trees in red and yellow. Roxas, one of the towns in Palawan is dubbed as the cashew capital of the Philippines. There's just too much of this fruit that locals barely eat them and just throw away the pulp. They roast the nut instead and pack them as cashew nuts. Most homes, even very humble ones use digital dish satellite TVs. You'll see these along the road on the way to El Nido from Puerto Princesa. Are there no TV channel broadcasting stations here? The place is relatively safe. People are still walking or sitting close to the highway going towards El Nido in the middle of the night. Above all, it's the islands in El Nido which will take your breath away! It's a paradise in Palawan indeed!